President’s Society members are inspiring peers and others with their annual leadership support. 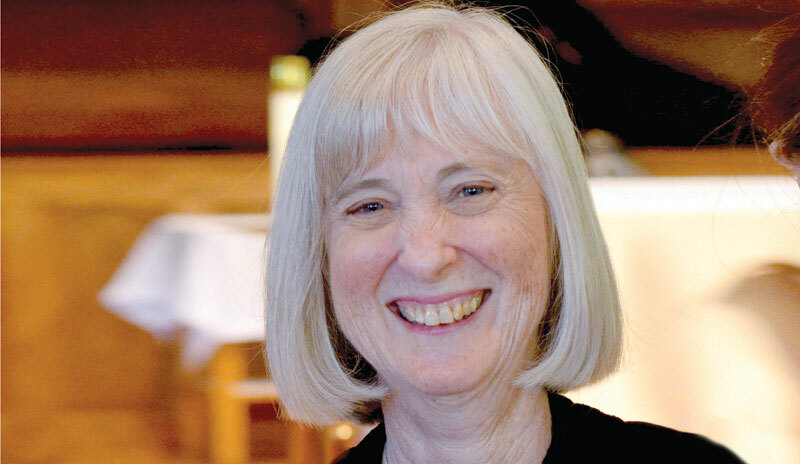 Kathleen Cummiskey Fothergill '71 was raised to believe that you should share what you can with organizations that are doing well for others, and her three decades of support for Emmanuel College are a testament to her confidence in her alma mater’s mission. Fothergill made her first gift of $250 to the College in 1985, sparked in part by her employer, The Dow Chemical Company, and their matching gift program for institutions of higher education. In the 30 years since, Fothergill has increased her annual giving to $5,000, and though she retired from her position as Corporate Director of Investor Relations after a 36-year career at Dow in 2009, her gifts continue to have twice the impact for Emmanuel students. "I’ve always felt that I had a great experience and received a great education," she said of her time at the College. Fothergill grew up in Belmont, Massachusetts, and when it came time to choose a college, she explored options close to home. "It seemed silly to travel with so many great schools in the Boston area," she said. "Also, in the late 1960s, the idea of a women’s college was very appealing to me. Women were starting to do new things, different things, and a women’s college gave us the chance to have any role we chose on campus." Any role—and any field of study. With an interest in numbers, Fothergill was initially a mathematics major with a minor in physics, but shifted her minor to economics—a precursor to her role in finance at Dow. There was also already a little bit of home at Emmanuel and in the Fenway. Fothergill’s sister, Maureen Cummiskey Dwyer ’70, had started at Emmanuel the previous year. Many mornings, she and Maureen commuted into Boston with their father, Joseph Cummiskey, who worked as the treasurer for the Boston Red Sox until 1973. "My time at Emmanuel was both academically satisfying and socially satisfying," she said. "I have great memories of hanging out in the commuter lounge. That’s where you could usually find me, in the basement of the Administration Building." In the nearly 45 years since she left Emmanuel, Fothergill has watched the College undergo enormous growth and change, which is expected, she said, if colleges want to stay competitive. "Things changed drastically even in the four years I was there," she said. "When I started, we weren’t allowed to wear pants on campus, and by my senior year, that rule was gone and we were holding sit-ins." Much of that growth she credits to longtime Emmanuel College president Sr. Janet Eisner, SND, who was director of admissions at the time Fothergill was a student. "So many colleges have faded away, but with Sister Janet’s forward-thinking, Emmanuel has thrived," she said. Fothergill hopes that her continued support will allow Emmanuel to keep providing quality educational programs that enrich the lives of its students. "Certainly any one gift can’t do that all on its own, but the more people give, the better academic experience can be offered to students and the more it will stay affordable for future students," she said. Fothergill was also a founding donor of the Class of 1971’s Dorothy Day Lecture Series. 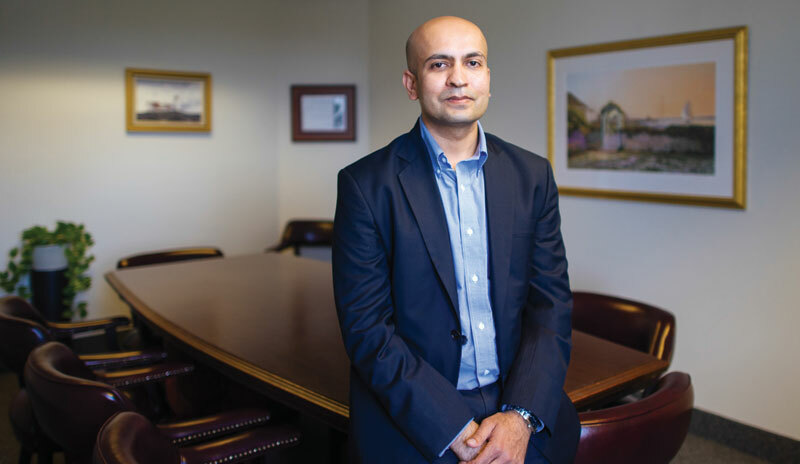 When Nimit Nathwani '05 graduated from Emmanuel College, he pledged to give back to his alma mater to support students like himself. A native of Rajkot, a city in Gujarat, India, Nathwani came to the United States to pursue higher education. He wanted to study economics at a small, liberal arts college in Boston and Emmanuel fit the bill. "I didn’t have the resources to pay for my education entirely, but due to the generosity of alumni donors, I was able to complete my degree at Emmanuel," Nathwani said. Through his continued support for financial aid and scholarships since 2012, the young alumnus is grateful he’s in a position to pay it forward. Currently a certified public accountant and audit manager at Deloitte, Nathwani credits Emmanuel for laying the foundation for his career. His professors urged him toward the University of Notre Dame’s Master of Science in Accountancy program, sponsored by Ernst & Young, the firm at which he started his career. "As a student at Emmanuel, I worked every summer, every spring break," he said. "I’ve been there. I know there’s still that financial need, and I wanted to give back."